Love cats? Love a cup of tea and a piece of cake? Then why not hold your own Paw-some Afternoon Tea and raise funds for Cats Protection. You can sign up to host your own afternoon tea at www.pawsometea.org. You can also request your free start up kit which includes recipes, bunting, cake flags and much more or find details on the website. And anyone hosting a Paw-some Afternoon Tea you can choose for all the funds they raise to go to a branch of their choice. 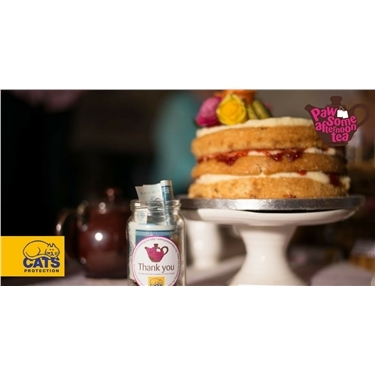 So you can enjoy an afternoon eating cake with friends and family and at the same time help cats in your area. So brew, bake, invite and delight!